Says the Scotsman newspaper. So when was this master plan thought out you may ask – last week. After the public consultation period. Not before surely. The city council who hold our parks in trust, have allowed private companies into our parks through only the views of 670 members of the public !!! Funny thing is, this article makes the parks consultation document look like a statement rather than a questionnaire. It would be interesting to find out how the council managed to get 3,000 children to respond to their tendentious consultation document. Q. would you like a new skateboard park. Q. How would you like a cafe in the park selling sweets hamburgers and ice cream. Q. Would you like more amusements that you could harass your parents to get money for. Q. You don’t like that boring old green stuff do you. If we made nice houses facilities on these bits. you would have a lot more parking space tarmac to play on with your bikes. Oh and more cafes, yes of course. Would you like some more sweets. I don’t think the park is noisy enough do you. What about more pop bands. But remember it will use up more of that green stuff at the weekends. There for we will need new partners to facilitate these shortcomings. The public in this day and age can’t expect the parks department to think of everything. Toilets and parkies, indeed. This will cost. “The latest poll we did shows the parks are still highly regarded by the public. So therefore we need to do something about this “high regard”. We can’t have people being happy with our parks the way they are. But just in case by some miracle, people stop going to the park on sunny days, or for a quiet walk in the winter, we shall take the precaution of having a few companies in to check the place out for commercial outlets. Just in case the park gets sick, or there is a dip in usability, or something. – So we will really have to be careful with this dip in usability – as a possibility. “Local communities will also be encouraged to put forward their own plans. Of course decisions taken at a “local level” can also mean making it easier to privatise when they are out-with the central structure. Divide and rule, nice one. “the parks being run by an external organisation was considered” By whom!!! The parks are in trust to the council to be looked after for the public – who own them. I do not remember anything in the Public Consultation Document about external organisations running our parks. Auto-suggesstion. OK.
My gut reaction is the people of Glasgow will wonder what the writer is on about. But no doubt The people of Glasgow, will find out soon enough when the bulldozers start rolling and our parks become extensions of the commercial enterprise that Glasgow City Council hold so dear to their heart – no matter what the public think. I would strongly advise anyone concerned about their local park and how the councils “master plan” will affect it, to use the box below and make their views heard. Just in the off-chance that this is the first time that they have heard that there was a debate going on . Beware the statement "We have a unique opportunity" That's how the idea, to turn Victoria Park pitches, into a car park was framed. Here we are again, it's part of the old one two. What do you want in your parks - Well heres what your going to get. People don't grudge young folk having a good time enjoying bands and stuff. It's where it happens that is the problem - who makes the profit and - who pays for the maintenance of the aftermath. Oh and lets not forget the residents who's park events are held in. Well did anyone ask the residents around Victoria park. So the pitches that couldn’t be turned into a car park – can be out of service for a month while they are “put back to normal”. Not counting the time they were out of bounds to residents when the actual festival was on and the preparation. Where does £5,000 go these days for a months maintenance work and the inconvenience of park users. In the other article we are asked to “Call for views on park future” concerning Ruchill Park. Ruchhill is an amazing piece of green land that needs a few toilets, a couple of parkies here and there and then to let people get on with enjoying the open space. Ask them and thats what they will tell you! I am sure that the public do have an opinion, but will it be listened to, “kind of facilities” That doesn’t mean toilets and swings. “bigger asset to the community” usually means “bigger asset to the business community” That means putting on festivals that take up your park space, and give nothing to the local community as the food and drink are all served behind the fence. Or worse Turning toilets (which are needed that have been closed for years) into bistros and poverty pimping “Fair Trade” outlets. Broomhill Community Sports Club has been left with nowhere to train after football pitches at Victoria Park were damaged following the Indian Summer music festival. 5000 revellers turned the pitches, which are used by three girls football teams, seven West End school football teams, four boys youth teams and a running club, into a muddy mess. Club Secretary, Stephen Prince, said: “Victoria Park is vital to the well being of the sports club and its members. These pitches are used by range of young people for football matches on Saturdays and Sundays, including Girls Football, School Football and young people with disabilities. “It’s also used by ordinary Glaswegians who want to have the run of a bit of grass. What’s happened here is vandalism. GLASGOW City Council's Land Services department are currently carrying out a community consultation exercise to find out what local people would like to see happen within Ruchill park. The survey asks what they think is good and bad about the park, what could be done to encourage people to visit Ruchill more regularly, and what changes would make the park more enjoyable. Councillor Aileen Colleran, Executive Member for Parks and Facilities believes residents and community groups will be eager to have a say on the parks future develop-ment. “Ruchill Park is a great local resource. I’m sure the public will have their own opinion of the kind of facilities they would like to see in the park. It certainly has the potential to become an even bigger asset to the community by providing something everyone can enjoy,” she said. The findings of the consultation exercise will form part of Land Services’ ongoing parks development plans. Kenny Boyle, the Council’s Head of Parks, says it’s essential that local people and park users opinions are made known. “The more people who get involved and tell us what they want from their park the clearer the picture we’ll have of how we can improve it,” he said. “We have a unique opportunity to look at how Ruchill Park can be developed to meet community needs over the forthcoming years. This exercise is a means of finding out what these needs are.” The survey can be completed online at www.glas-gow.gov.uk/parks or by calling 287 3907 or 946 3269. Copies of the survey are also available at the park depot entrance. Victory for Friends over car park farce. No Cars For The Park! This letter is addressed to all those who lodged objections to the proposed redevelopment of Scotstoun Leisure Centre. I am trying to cover all the issues raised, so you may find that some matters are covered which you did not personally raise. I have had a series of meetings with the Directors of Cultural & Leisure Services (CLS) and Land Services (LS) and the councillors from the neighbouring wards and the latest position is as follows:1. CLS officials have reason to believe that the Scottish Rugby Union have exaggerated the number of spectators who attend Rugby matches. After doing some research, they have concluded that the average number is more likely to be around 1500 rather than 3500. If this is the case, the number of parking places required could be reduced. They propose that a new Traffic Impact Assessment should be carried out on this basis They believe that the redeveiopment could cope with a reduction in the number of proposed additional parking places. By extending parking westward within the stadium, they can accommodate an additional 290 vehicles. In addition, they propose that the car park at St Thomas Aquinas Secondary School can be used to accommodate additional vehicles and match officials and possibly teams can be directed to use these spaces. Thus there should be no need to provide parking places on a regular basis in Victoria Park and plans to develop the blaes pitch for parting will be dropped. A Traffic Regulation Order requires consultation to be carried out, but in advance of the statutory consultation, I will arrange for an informal consultation to be carried out by way of a public meeting and/or a postal survey. 3.I have asked CLS to investigate the possibility of having CCTV installed at the entrance to the Leisure Centre to try to reduce disorder and vandalism in the Centre and the surrounding avenues. 1. Carry out a new Traffic Impact Assessment. This should take 2 to 3 months. 3. Advertise and promote the Traffic Regulation Order. 4. Investigate installation of CCTV at Leisure Centre. I hope you find this information useful. If you have further concern, please do not hesitate to contact me. Would be a real shame to lose a prime piece of parkland in the city. The park there seems to be used for so much these days, football, frisbee, and I see even Australian football is played there as well now. We need to support this type of vibrancy in the city and ensure parkland is available for recreation. PROTESTERS fighting plans for a massive car park on a green space in Glasgow's west end have launched an official campaign group. Scotstoun residents Dorothy Parker, 48, and Nicola Mathews, 32, have joined forces to form Friends of Victoria Park.Tonight they will hold the first in a series of public meetings which council representatives will also attend. The campaigners, who live in Victoria Park Drive North with their homes looking on to the park, were among hundreds of people furious to learn a car park with up to 625 spaces was being proposed. Glasgow City Council wants to site two new football pitches on blaes areas, and 200 permanent parking spaces. During events at nearby Scotstoun Stadium, which is to be upgraded, 400 temporary spaces will be made available by allowing parking on new grass pitches. Now Friends of Victoria Park will take on the council in a bid to force a U-turn on the plan. The group has already attracted 25 members but expects many more to sign up. Already 400 people have lodged objections with the council. BBC worker Dorothy said: “This is a way of bringing together lots of people and having a stronger lobbying voice. “We hope to get detailed answers from the council’s representatives and to persuade the council to change its mind about the plans. Objections have been flooding in since the second phase of a consultation on the proposed new 6000-seater Scotstoun Stadium – and associated plans for Victoria Park – was launched. More than 700 residents have been leafleted by Scotstoun Conservation Area Residents Association over the issue. The association has compiled an objection document and is urging local people to sign up. It claims event parking in Victoria Park “will fail as it fails us now due to the lack of proper traffic management”. Neil Brown of the association, said: “The council is missing the key issues. Will 600 cars ever even use the car park in Victoria Park when they can park elsewhere closer to the stadium? The closing date for objectors to make their views known on the issue is March 10. A city council spokeswoman confirmed today that officials from the cultural and leisure services, and land services departments, and Councillor Irene Graham will be attending the meeting of the new campaign group. l Tonight’s public meeting will be held at 7pm in Scotstoun and Whiteinch Church on Earlbank Avenue. A leading councillor has hit back at the campaign to stop a car park being built in one of Glasgow's most historic parks.Aileen Colleran, Glasgow City Council's parks convener, said proposals to replace disused football pitches and trees with a car park at Victoria Park were being distorted by a campaign based on misconceptions.Ms Colleran, councillor for the Partick ward, said the council was determined to preserve green space, while upgrading facilities "to a twenty-first century standard". She denounced what she claimed were unwarranted accusations that Glasgow's playing fields were under increasing jeopardy from developers. She said: "You would think from some of the abuse the council is poised to send bulldozers into Victoria Park and turn a beautiful green space into a sea of ugly grey concrete.“Two very poor quality red blaes pitches are going to be removed. In reality, they are derelict and used for little more than dog walking. “In their place, we will build two new grass pitches, fully available for recreational use by local residents and clubs. “Yes, it is true there will be a hard-surfaced area next to the new pitches and the grassed area will also be used on a limited number of occasions by motorists when major sporting events are being held at the Scotstoun stadium, with most of these on Friday evenings. “Believe me, there is no way we would be putting forward this proposal if we didn’t believe it was leading to an improvement in the existing sports and recreational space in Victoria Park.” David Moyes, Everton’s manager, recently joined campaigners in the battle to save the Victoria Park football pitches. Glasgow-born Moyes played his first football game on the threatened Victoria Park red blaes pitches. Glasgow City Council wants to build the park on disused pitches, fell about 20 trees and build a new access road and driveway through the park. Steve Prince is a local resident who helps run Broomhill Sports Club which organises classes for hundreds of children. He said his club would welcome the provision of new facilities in Victoria Park but added: “The real issue here is that the council want to park over 600 cars in our park about 20 times per year. What condition will the grass be in the morning after? Would the Glasgow rugby people like to give up two grass pitches at Scotstoun for an overflow car park? Probably not as it would ruin their playing surface. “However, it’s meant to be a good enough arrangement for our children to play the national game on. We have been attempting to do develop our park while the council wants to rush through some ill-conceived plan to park cars there. Some past parks issues covered by City Strolls for reference. The business people, aided by public servants, have a pit of money (including ours) and manpower and also the business media, to push through any capital making, strategy they feel like and dress it up in any touchy feely gloss they care for – to shield them from public scrutiny. Is it time for a “real” public debate on Glasgow parks. Not a debate on the question. Are our parks being privatised? But one on the fact: Our parks are being privatised. What do we do about it! What’s My Name, Fool? : Sports and Resistance in the United States If you’re young and you don’t know what this guy represents, if your a “not into sport” lefty, if you wonder what’s so -not brilliant – about the Olympic games, if you wonder what all the laissez-faire development in Glasgow is about..You could find this interesting. Protesters staging a sit-in at a park say they are not planning to move, five days into their demonstration. You don’t know what you have until you lose it. There would never a more fitting statement concerning “The park”. We have learned to take the city park, so much for granted. And why not. It is our right. The park is a public space. Historically this has been a green space where kids ride bikes, play football, people walk dogs, foxes and bats hunt; where the railway embankment is covered in trees and bushes, and you can see the stars shine on a clear night.. Adjoining the backpark are Cathcart Allotments. The Friends of Kelvingrove Park aim to maintain & enhance architectural and environmental features in one of Glasgow’s oldest and most popular public parks. The Friends of Kelvingrove Park aim to maintain & enhance architectural and environmental features in one of Glasgow’s oldest and most popular public parks. The idea of the Victorian park was to allow the public to escape the pollution of the city’s factories. Today we need our parks to escape the pollution and vagaries of the consumer society. .Councils are waking up to the benefits of reintroducing permanent members of staff to parks,and are realising how new-style ‘park rangers’ can bring solid benefits – aesthetically, socially and financially – to our green spaces. What then is is the privatisation of public property, public work force and public land -but colonisation. What happened in Athens, converting the city to world cup splendor “…In the last push of round the clock preparation alone, 13 laborers were killed at the service of making Athens, in the words of one Olympic official, ‘habitable for a global audience’ “. 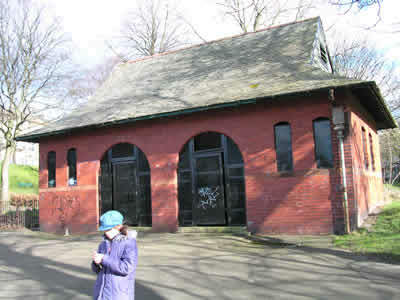 Govanhill Baths was effectively dosed by Glasgow City Council on 29th March 2001, against the wishes of the unconsulted local community-the majority of users of this long essential service on their doorstep. Glasgow’s ‘Govanhill Pool: Southside Against Closure’, the community protest group, undertook their own detailed survey to assess the impact. companies to provide a range of facilities. The City’s Parks Dept is engaged in a Public Consultation at present. and financially – to our green spaces. Toilets And why not toilets! something for kids. (rollover) What happens to the playground in front of this building? Both are buildings in Kelvingrove park and both have been out of service for some time. Both are under the remit of the Common Good. That means they both belong to the people of Glasgow. The bandstand also has an important social and political history, a function that has been denied since it’s closure. The bandstand has been waiting to be re connected with common use for about ten years. So, the toilets, out of the blue, can be taken over by an individual or company, without a by-your-leave of the general public, who own the property. The bandstand on the other hand has had a campaign running for years to reopen for public use. – Has had support from the local community – MP’s, Scottish Opera, various pop bands, Historic Scotland, and all manner of time, information, publicity and work spent on the project for the benefit of the “park user, owners “. The bandstand is a community led project with the interests of the community and with the backing of democratic decisions of it’s members who are the public. [owners] Every part of this project has been open to public scrutiny, has had the publics best interests in mind. and would help to secure part of the common land and property for future generations, as this and the generations before have enjoyed. Make no mistake. Private business in the park is not there for your convenience. (Why else would they do away with one). They are there to make money. No matter how, touchy feely, Fairtrade, organic or otherwise, they are at first. The franchises, will be chewing at the bit, to get into the parks. Business is accountable to no one, other than it’s shareholders and investors. The bandstand project is accountable to the public. The question is. Who are Glasgow City Council accountable to? If you think the parks are open and free of business clutter, cars and sell-offs because we have a kind and concerned administration looking after your interests, you would be wrong. The only reason the park has maintained it’s open and public orientated nature for [all] to enjoy, is because of local folk, who give up there time to ensure this happens. Most park users are oblivious of this fact. Now the park protectors need your help. If these plans go forward the parks will take on the same development frenzy the rest of the city is experiencing – the very thing we go to the park to escape. Our future mental health could depend on it. We do not have the same fancy brochures to help save our parks from predatory business as they have for selling them. If we don’t start talking and spreading the word between each other to protect them, the parks will soon be run down to blight level, like so many parts of our city, in order that they can be saved for the profiteers, who are waiting the side-line. It’s up to yourself mate! aileen.colleran@councillors.glasgow.gov.uk Or care of Parks Department. Take a look at your local park. See what your not happy about and tell them about it. Down load a petition, talk to other folk, ask them what they know – You will find they know nothing very likely, as most of these business plans, are done in secret. Talk to your neighbours your MSP’s the whole of Glasgow’s parks are in the firing line. The first public park in Glasgow, Scotland, UK. Can we rekindle a people’s vision for our parks? Thoughts on – Plans to build a school and Music Therapy Centre, in Ruchill park. First off, I doubt whether it was an idea dreamt up by the school or the care centre to situate their institutions in a public park. It is more likely that these ideas are being pushed by Glasgow Parks Department and Glasgow City Council, as part of the ongoing plan to privatise public green space. If this is not the case how come most of what they are doing in our parks fits a business strategy rather than a public one? The fact that council park developments are moving towards more publicly acceptable installations such as schools, only exacerbates the problem of public understanding of the longer term impact of losing green space to concrete. Other things we need to remember before we start. One is the flagrant disregard for public opinion and the arrogance of Glasgow city council pushing these deals mentioned below through. The city council work for us. We employ and entrust them to conduct proper stewardship of public assets. The scale of abuse of these powers of control, particularly over the last 6 years is incredible. If certain councilors were punters from Govan, they would be in jail for some of the things they are up to. Why does it seem as if they get our blessing for robbing folk in Govan, Maryhill, Ruchill, Dalmarnock and every other place of their Common Good land, schools, community centre’s, services and proper jobs, to casualisation? Local people are finding out about many these building plans, not from the community council or any kind of proper consultation, but from the newspapers. Glasgow City Council consult newspapers more than they do the public. They do not need to find consensus in the public anymore, they just have to make the biggest noise so no one else can be heard – till it is to late. Building in our parks is all about money and land – not about what is being built at present, that can be a school or a anything else – this is not the point. The important point is – Once the dangerous animal “developer” is let loose in our park lands it will be very difficult, if not impossible to get it back out again. Schools in the park will be the least of our problems. When prime public land is up for grabs, the same developer feeding frenzy as is happening all over the city will be allowed in the doors of our parks. We need to keep this in mind when we ask. Is a Glasgow park the best place to put buildings of any description – particularly in those parks that are surrounded by an abundance of derelict land begging for community development? Should it not be the duty of Glasgow City Council to protect the most valuable and treasured land in our city (parks) for the benefit of “all” of of our citizens? I think most councilors who take the time to look are aware of the long term impact of the councils “commercial business project” for our parks. For whatever reasons good or bad apart from a few committed councilors, there is hardly a murmur of dissent coming from the city chambers about the fate of our parks or our cities Common Good, or Common heritage – as these public assets move speedily towards the control of business interests. “That’s up to activists”. Activist, meaning those who exercise their democratic rights – that’s you and me and everybody else – ordinary people with an opinion on how they want to live their lives. We activists will still be here long after council chiefs and their budget balancing ideas come and go. We need to be in it for our communities long term, because we can’t up and run when our budgets don’t balance – we need to live with the consequences of these decisions – it is therefore important that we become part of the decision making process and become aware of the long term impact of these building proposals being planned for our “public” space. Therapy is an apt topic when we speak about parks. The therapy centre proposed for Ruchill park has a reputation of doing great work – “Through music, the charity transforms the lives of children and adults affected by illness, disability, trauma or isolation.” – and they should be commended for this. But the same could be said about our famous Glasgow parks. The park is one of the original therapy centre’s where young and old can escape from the trauma of city life. The park offers an autonomous space where we are allowed to let our imagination run free, unimpeded by noisy city life, the car and the isolation created by the over dependence of television. If we are concerned with the holistic health of our communities we need to work in partnership with each other in order to create as diverse a choice and use of the facilities available to us. Our ideas also need to be guided by a long term vision in order that we do not make mistakes that are difficult or near impossible to rectify. We would be hard pushed to find folk who would think it a bad idea to build a Ruchill Music Therapy, Play & Respite Care centre. But that is not really the issue. The issue here is: In a public park? To understand why this is not a good idea it has to be put in the context of Glasgow City Councils vision for our parks – which given the evidence over the last five years is to privatise them, or at least make them available for business enterprises. This is not controversial – it is policy. A few recent ideas that were council driven. Go Ape – The idea to build an Â£45 a time adventure playground in Pollock Park. Stopped (Common Good). Another idea to build a nightclub in the Botanic Gardens was stopped (Common Good). And another a while back to turn football pitches in Victoria park into 600 + car-park spaces – Described by the council as a “win win situation”? This was also stopped by community pressure (Zero tolerance. No cars in our park). Privately run cafe’s have been given leases to use what were once park toilets to trade from (Kelvingrove) and there are many more of these kind of ideas in the pipe-line. Those at the city chambers pushing for the commercialisation of our parks know fine well, it is more difficult to fight a campaign against a school than it is a nightclub in the park. These installations are being used to pave (literally) the way for more – less benign commercial business projects for our parks. The therapeutic service our parks present to us, is a “preventive therapy” – that is a treatment that is intended to prevent a medical condition from occurring in the first place. In their history, Glasgow parks have created respite from the ravages of the industrial revolution and today serve the same purpose in creating respite from the ravages of motorways, traffic, gentrification of local green space, consumerism, school, (kids may think) and many other ills bought on by business encroaching on every part of our public space. Our government tell us – In the coming years we will be expected to pay even more taxes and suffer loss of employment, loss of public assets, cuts to services for the folly’s and rash business deals – seemingly carried out for the public benefit? Glasgow parks are the jewel in our crown and their autonomous nature, sense of ownership and pride represent a social, cultural, mental and physical safety net, we lose at our peril – especially in these days where we seem to be losing so much of the public estate and our resources to finance bad debt that was not of the public’s making. Around 6 years ago. “seemingly” the public were consulted about the idea of business being allowed to profit of of our parks. Only the obsessed would have found the consultation document, so don’t blame yourself if you didn’t see it. Do you ever remember being consulted in such a major shift of council policy, concerning our parks and our Common Good? Here is a snippet of what is happening – There is a link below to the consultation document. “The council is expected to approve a master plan for the city’s 74 parks which will allow private companies to provide a range of facilities. ” Scotsman Sept 21, 2004. In 2010. “Richmond Park (a city park) is being transformed as part of a multi-million pound regeneration scheme for neighbouring Oatlands. A total of 1318 homes will be built as part of a Â£160m plan for the formerly rundown community.” And also. “A high quality family pub/restaurant is proposed overlooking the model boat pond in Richmond Park.” Houses, pubs in the park? So in six years following from the above assurances, about a fifth of Richmond park has had houses built on it. The plans for licensed premises overlooking the boat pond – will be built on the spot the boat club takes up. The club, a well loved feature of the “boat pond” will be moved some place else? In protecting our parks we need to separate the business from the Common Good and Common heritage – and the ideas from the emotional blackmail. We need to think of schools, therapy centre’s, in our parks the same way we would think of private run bars, restaurants, 600 place car-parks, night-clubs, Â£45 a time adventure playgrounds, renting park-space for exclusive Â£50 a head new year parties next to residential housing (Kelvingrove stopped) and all the other exclusive and strange ideas Glasgow City Council have come up with for our city parks. They are purely to make money. (Glasgow parks department employ business managers for this very purpose.) To do what? – Spend profits on social inclusion? To put back into the Common Good fund? I don’t think so. One thing that is never talked about are profits and where they end up. Why do we need to keep this in mind before we let the Glasgow City Council do what they want in our parks? Our parks actually work – and for hundreds of years. We do not need to make them dysfunctional by placing in them things that go against the very nature of a park and what they were put here for in the first place and who they should serve – namely the poorest in the city. It is conveniently forgotten that Glasgow has some of the worst areas of poverty in the whole of Europe. Our parks become important places to the poorest in our communities, which makes it important that they do not become the new cafe scene that most of us can’t afford, nor places of exclusive interests, formal education included. Our parks have become a battleground between business interests and the Common Good (two nations). Our present administration, given the evidence, seems to be on the side of business. It is a lot easier to muster sympathy in stopping the idea of a night club in a park. (not easy just easier) but touchy feely ideas like schools, therapy centre’s, cafe’s placed in our parks are more difficult ideas to attack – because we like them. If building schools in parks are for the benefit of our children and the councils theme of closing and selling local schools then relocating them in the local park is allowed to continue. What happens next? Can all of our kids have a school in the park? Is it not strange – choosing a park to build an industrial building in an area (Ruchill) with the biggest amount of derelict land in the whole of Glasgow? Would it not be a better ideas to redevelop some of the derelict land and create even more green space around a new school that would fit seemingly one of the city councils remits of creating green space – rather than taking it away? Or is the school in the park to attract clients for the luxury flats that the derelict land and the old hospital will be used for? What happens when the school in the park needs to expand when the surrounding area is developed? Who decides how big a school should be in a park, how many cars should it accommodate – What about the impact of cars and pollution on the park? Has this been even thought of? Why is there no public money available to pay independent public representation of the impact these schemes will have on the community infrastructure. Why do the developers have all the lawyers and those representing the public’s opinion non? There appears to be no long term vision of what should happen in our parks. (apart from business exploitation.) We are constantly dealing with council representatives who work on four year time scale projects for the duration that they are in power. Then the public need to restart the battle with “the next intake” who will most probably, sell and allocate more space to more developers before leaving office. Does anyone remember voting for a councilor on the remit that the Common Good would be removed from council control? Or that money from sales and rent from Common Good assets should go into council coffers, not back into the Common Good fund for the benefit of the public? We need to ask. Why do Glasgow city council persistently deny us of a proper assessment of our common good? (which parks are a big part) Why are people kept in ignorance that these assets even exist. Could it be because – Common Good knowledge, stopped Go Ape, in Pollok Park? 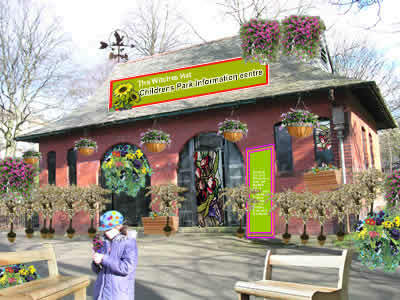 and the planned nightclub in the Botanic gardens? – and the same knowledge is helping communities around the country to reclaim their Common Good assets? The Common Good fund is 500 years old in Scotland – has assets worth millions of pounds There is laws to protect the funds assets, to ensure that they are used for the benefit of the public – Why do those who wish to lead us, not want to talk about the Common Good. Is it because the Common Good is democratic and has structures in place that could help folk decide what they want in their communities and parks, not just what the council decide we need? So who is deciding? The same council led ideas that tried to put 600 + car park spaces onto Victoria Park football pitches and pushed for a nightclub in the Botanic Gardens, is part of the same council led idea vying to put schools in our parks (Administrations change but the same ideas remain). Putting schools in parks is not for the benefit of children being educated in a nice environment. (although it may be for some children for a period of time.) Will we have “private schools” in the park to? Will fences be erected around park facilities for the use of schools? (Kelvingrove) It is also worth remembering the running of schools is moving closer towards a privatised model – just like our parks. But where does the public stop and the private begin? This is not being made clear in any of these parks “business initiatives” nor in any vision for our schools for that matter – we only hear after the decisions are made. As far as our parks go, schools in parks are technically just another lever to open more avenues of business interests taking control of parkland. A wolf in sheep’s clothing. Some of these projects are deemed justifiable because certain parks are “not used enough”? Parks even for those who do not go into them often – offer peace of mind by the fact that they are there. Looking at a park and admiring the vistas even for the elderly who can’t run around in them brings piece of mind. As soon as concrete is formed in a park it is inevitably followed by tarmac and then by the car. Once the “car” takes hold in our green space it will not be controlled it will make the use of legs redundant and proliferate like hog weed on the Kelvin. A park is about the only open air car-less place our kids can run free. It is the countryside in the city and the retinal experience (looking) of the park is as important as any other, especially for those without the ability to make physical use of them. I do not have any ax to grind concerning schools or therapy centre’s but only to make it clear that these projects in our parks are detrimental to the wider value the park has to offer in the future. A future when the city is jammed with traffic housing and shopping complexes and none of us can get to the countryside due to the gridlock conditions expansive motorways bring. (the math has already been done) We can’t wait till then to realise the only thing we should put in our parks is people. The folk who are pushing for the commercialisation of our parks are doing it undemocratically, have no interest in the long term vision of the parks for ordinary peoples use – but only in the duration of their short term administration period and sharp denial of our Common Good and Common heritage. Our parks are much to valuable for this and their value will increase incrementally with the spiraling mental health problems we are seeing in our communities as their assets are squeezed out of existence along with their jobs to pay off debt that is the fault of banks and business. Our attitude to development (buildings) in our parks should be zero tolerance for the benefit of the Common Good and Common heritage. But remember Bridget’s words, their job is to balance the budget – our job and ours only, is to make sure it balances in our favour not the rich business partners out to make big bucks selling our parks back to us – the same way they did our housing. Maybe a useful thing could be to liberate a part of the abundance of derelict land in Ruchill to open a centre dealing with “political behavioural therapy” which could help to teach folk in the so called “depressed” areas about the real socioeconomic origins – of their despair. Or maybe we don’t need to build anything – just expand the use of the present community centre’s and schools that the council are over keen to close down in their rush to sell off buildings, land and local schools, and at the same time turning our dear green space into developing lots for gentrifiers – to the detriment of the car-less and those who need our parks most – ordinary people. Rekindling the peoples vision for our parks? What we need in the city is a coalition or association of groups representing Glasgow parks – to discuss the history of how the parks got here – what is there function – and how they can be best run to suit the public, as they are “public parks”. We also need a consultation process that is “visible” to the public and in a language that cannot be construed to mean the opposite of what it says and a proper accountability process that is also open and visible to the public. If we do not demand these kind of things – a vision will be created for us and it will be one where our wallet will need to be in our pocket any time we venture towards the park with the kids. We employ councilors to manage our parks for the health and well being of the population of the city not to turn them into real-estate. The so called consultations, when the exist, for park “developments” consist of bullies from the council and parks department telling the public what they are getting – in the pretense of listening to what the public want. The utter disregard for sensible discussion for what communities need for their local parks and the lack of imagination in the thoughtless generic structures that seem to be the councils answer for every problem encountered. A complaint about needing a few wardens in the park and some dog-dirt control is met by another (council) ‘opportunity” to – Build, ring fence, CCTV, contract out, cut down, take away, redevelop. All to keep a variety of out-sourced – partners, consultants, architects, builders and service suppliers in profit. Sure it creates jobs, but undermines park employees jobs and takes away labour and money that would be better suited and more needed in other parts of the community – like the above mentioned brown field sites? As for councilors who do not do what they are told to do, or say they will do, we can get rid of them – we have done it many times in the past (without a pay-off) and it is easy enough to do again. Just keep remembering Bridget’s words – It is up to us. Glasgow’s parks and open spaces have provided opportunities for active and passive recreation, relaxation, play, peace and tranquillity for generations of Glaswegians. As the pressures of the modern world increase, it is vital that these opportunities are still available for all and it is therefore very important that the Council works to ensure the parks and open spaces service develops to reflect the changing needs of the city and its people. Sustainable development – meeting our needs today, without affecting the ability of future generations to meet their own needs, is a significant challenge to councils, individuals, communities and businesses. Our parks and open spaces make a crucial contribution to the sustainability of the city and this public consultation document is intended to provide opportunities for everyone to help the Council ensure that the city’s parks and open spaces achieve their true potential. Glasgow’s future will be increasingly based on tourism, finance, the media, technology and other services. Our parks and open spaces can play a key role in supporting this future by ensuring Glasgow remains a “dear green place”. Glasgow City Council is presently undertaking a review of its parks and open spaces service. This consultation document sets out the main elements for consideration by all groups, agencies and members of the public who wish to express preferences for the way they would like to see the service managed and developed in the future. You are invited to comment on a range of issues through a series of questions, which have been gathered from an initial analysis of the service. It is important to the success of the review that the views and opinions of the public are actively sought and considered as part of the review process. This gives you an opportunity to help shape the parks and open spaces service to better meet your needs and preferences. • Have we addressed the right issues? • What do you think we should do about them? • Are there other issues that we need to look at? Following this public consultation process a strategy document will be produced which will demonstrate how Glasgow’s parks and open spaces can be developed and improved to fully support the regeneration of Glasgow for both residents and visitors. The consultation period will close on Friday 9 July 2004. All the comments and views we have received by 9 July will be considered and used to develop the new parks and open spaces strategy. The final strategy document will be published in autumn 2004.
fundamental part of the urban environment. A role in providing for the recreation and leisure needs of the community. A role in providing opportunities for passive leisure. What do you consider to be the most important role(s) of parks and open spaces? 2. Community involvement is one of the keys to success in the regeneration of our parks. This fosters ownership by the community and encourages people to respect and use their parks. How could Land Services improve the level of community involvement in relation to parks and open space improvements? 3. As the Council develops the city, regenerating and renewing neighbourhoods, sometimes areas of parkland or open spaces can become isolated from local communities, no longer serving the purpose for which it was intended. Should the Council remove some areas of greenspace if these areas could be replaced with alternative sites that would be more accessible to local people? What could the Council do to encourage more community involvement in events and activities in parks? 5. The Display Houses at Queens Park, Tollcross, Botanic Gardens and Glasgow Green Winter Gardens offer visitors the opportunity of viewing extensive collections of tropical and subtropical plants, displayed within a glasshouse setting. Do you think that plant display houses currently offer enough interest for visitors. If not, how could they be improved? 6. There are a number of children’s play areas sited within parks. These usually consist of fixed equipment such as swings, chutes and climbing frames. What types of children’s play facilities would you like to see provided in parks? 7. Outwith the provision of formal traditional play areas, there is a need to provide suitable youth facilities in parks. The provision of facilities for skateboarding, BMX bikes and in-line skating have been provided in response to local demand. There are facilities at Queens Park Recreation Ground, Barrachnie Park, Orchard Park and Darnley with additional skate parks to be provided at Nethercraigs and Kelvingrove Park. What types of youth facilities would you like to see provided in parks? 8. A major issue in maintaining play areas to a high quality is the problem of misuse and vandalism. This can often lead to items of equipment having to be removed or closed for safety reasons. What measures do you think should be taken to combat problems of vandalism to play equipment? 9. Municipal golf is available at 5 courses in Glasgow on a pay and play basis and in recent years usage figures have been declining. The clubhouse facilities are in need of upgrading and considerable investment is required to improve comfort and facilities. Should the Council continue to develop and promote golf as a recreational activity? 10. Horse riding is available at Linn Equestrian Centre and caters for all ages and abilities. Should the Council continue to develop and promote horse riding as a recreational activity? 11. Outdoor activities that are currently provided within Glasgow parks during the summer are, pitch and putt, tennis and bowling. In general, usage figures have declined in recent years. What other recreational activities would you like to see provided in parks? 12. Various surveys indicate that the public feel there is a lack of general amenities such as toilets and catering facilities in parks. 13. The parks service also maintains farm and livestock operations in Pollok Country Park, Glasgow Green and Tollcross Park. These are popular visitor attractions but are only available in a small number of parks. Do you think that there should be more animal and bird display areas within parks? 14. Recent surveys of both adults and children reveal that personal safety in parks is a concern. It is intended that the review will address this issue by developing local strategies to improve the feeling of personal safety in our parks and open spaces. The basic opening hours for our parks are traditionally from dawn till dusk, at the height of winter this can be from 09:00 till 16:00. Do you agree that, where possible, parks that have gates should have them locked at night? What measures do you think the Council could take to improve your personal safety in parks and open spaces? 15. Litter and broken glass is a problem in parks and open spaces and the Council spend considerable sums of money each year clearing litter from parks. Can you suggest any ways in which the Council could enlist the help of local communities in assisting with the problem of litter in parks and open spaces? 16. Just over half of the people who took part in The Citizen’s Panel survey in autumn 2003 said that dog fouling was the poorest aspect of Glasgow’s parks. This is a difficult issue for the Council to deal with as it depends largely on the willingness of dog owners to be responsible and remove it themselves. There are already waste bins, dog exercise areas and enforcement initiatives undertaken in selected parks. What measures do you think the Council should take to combat the problems of dog control and dog fouling in parks and open spaces? If there was one single change or improvement to be made to the Parks Service what would you propose? 18 . Roadside verges central reservations and roundabouts are considered an integral part of the greenspace network across the City. Many road verges throughout the city are in disrepair due to inappropriate parking practice by local car owners and as a result of damage done by vehicles. Should the Council adopt a policy of replacing areas of grass verges and soft landscaping damaged by parked cars with hard standing areas? 19. A Play Area Improvement Programme is underway to identify old, derelict or poor quality play areas in need of upgrading or replacement to meet safety standards and to improve levels of provision in line with the City Plan standards. Until now, replacement and improvement programmes have been based on the provision of specially designed and constructed play equipment. There is an opportunity to consider other approaches such as home zones, where informal play facilities are designed into local streets, or to adopt an approach based on play landscapes rather than play equipment. What should the priorities be for the improvement of children’s play provision? 20. Glasgow has a range of woodland areas consisting of trees in parks, trees in streets, new woodland plantings and older wooded areas. The Council is developing a City Woodland Initiative to address the woodlands and their management as a single resource. Do you agree that the Council should work in partnership with other agencies to extend and develop woodlands in the city for environmental and leisure purposes? 21. Allotments are recreational facilities provided by the Council that enable residents to participate in gardening activities. The Council is working to develop partnerships with local allotment associations aimed at improving the management, quality and layout of allotment holdings. Horticultural advice is available from Land Services to plot holders and allotment associations. How can the Council best support the development of allotments in the City? 22. Thinking about all aspects of parks and open spaces. Are there any other aspects of parks & open space maintenance that you would like to see changed or improved? 23. Glasgow’s parks and open spaces contain a rich variety of landscapes ranging from designed parks such as Kelvingrove and Queens Park to the natural landscapes of Dawsholm and Pollok Country Park. Within these environments there is a vast range of habitats and species in woodlands, ponds, rivers, wetlands and meadows. Land Services works in partnership with Education Services and a number of other agencies to develop various environmental education and awareness programmes. 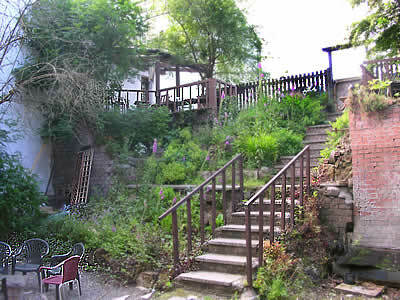 There is also an Environmental Centre in Tollcross Park that focuses on raising awareness of environmental issues and promoting education to residents and visitors. Should the Council continue to extend the range of environmental interpretation and information services that it provides throughout the city? 24. Signage and environmental interpretation is important to assist visitors understand the purpose and rationale behind providing wildlife conservation sites. Good interpretation leads to a better visitor experience and raises people’s awareness, which increases their enjoyment and ensures that heritage is passed on to future generations. How could signage and interpretation of wildlife and conservation sites be improved? 25. There are currently two designated Local Nature reserves in Glasgow, Hogganfield Park and Bishop Loch. Through Land Services involvement with wildlife conservation areas, there has been a notable increase in several plant and animal species. Previous surveys have highlighted the general public’s desire for further wildlife conservation sites in the city and its parks. Can you suggest ways in which local communities could become more involved in the management and development of identified nature conservation sites? Are there any other aspects of the management of Glasgow’s ecology and environment that you would like to see changed or improved? 26. Within Glasgow there are 32 burial locations for which the Council have maintenance responsibility. However currently there are only 5 locations with the potential to accommodate new burial lairs. Many memorial stones in the city’s graveyards have been vandalised or otherwise damaged. Whilst Glasgow City Council has overall responsibility for the safety of the cemetery, the Council do not own the headstones. The owners of the memorial are normally the family of the deceased. In many cases there may not be an identifiable owner to deal with any damage. There have been complaints from the public regarding the poor quality and variety of memorials available from the council. This has led to an increase in unauthorised memorabilia throughout the cemeteries which creates problems for access, ground maintenance and health & safety. Do you believe that the Council should be stricter in allowing only particular kinds of memorials and headstones to be placed on or around graves? Would you support the Council removing non-permanent memorials from graves, after a specified period of time, where they have become unsightly? 27 .One of the major problems facing cemeteries is vandalism, this includes toppled headstones, flower beds being destroyed, graffiti and stolen or burned out cars. Would you support the Council in using powers under the restorative justice scheme to make good any damage caused by vandalism? 28. There have been regular requests from members of the public who have been unable to tend family graves, for the Council to introduce a grave tending service. The type of service that could be made available would involve headstone cleaning, planting out, and tending to plants. Would you support the introduction of a grave tending service for which a charge would be made? 29. Due to a lack of lair space, consideration has to be given to alternatives. One such alternative could be woodland burials where only one interment takes place and a tree is planted to mark the area. This is a new concept in burial management. Should the Council consider developing facilities for woodland burials within Glasgow? 30. The environmental and visual value of cemeteries to the local community can be important. There can be environmental benefits in turning old burial areas into wildlife reserves, increasing bird and other wildlife population, creating a valuable resource, which enhances leisure and educational possibilities for the community. This process does not impact on graves visited by mourners. Should the Council develop cemetery and burial grounds as habitats for nature conservation as well as their primary purpose? 31. Land Services are responsible for Linn Crematorium in the south west of the city and Daldowie Crematorium in the east of the city. The time that is allowed for cremation services is an issue often raised by relatives of the deceased, particularly where there are several cremations booked in succession. A time of 30 minutes is allocated per service but a range of factors contribute to this sometimes being insufficient. These factors include the custom to meet and greet prior to, or after the service, the funeral cortège not arriving on time and comprehensive religious services being carried out at the crematorium rather than at the church. Do you support the idea of extending the length of time for cremation services even if this were to increase the cost? Are there any other aspects of the management of Glasgow’s burial and cremation service that you would like to see changed or improved? Are there any other comments you would like to make about the Review of Glasgow’s Parks and Open Spaces? Freephone 0800 027 7362. Large print versions can also be provided on request.